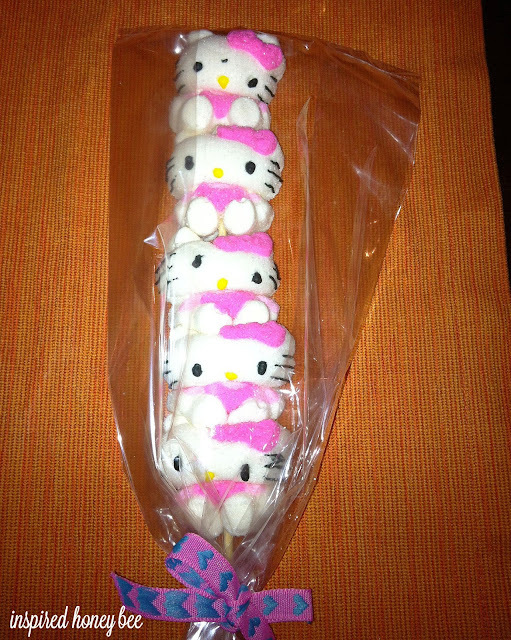 Cece is back and she reminds me how much I love Easter candy, especially Hello Kitty peeps!! Although my dentist, my scale and my stomach can only take so much, it's just so hard to avoid these adorable ideas that she recreated from Pinterest! The important lesson that I'm taking from this Pinterest challenge is that it pays off to not procrastinate. Go figure! My m-o is to usually wait until the last minute and that usually takes me down an expensive road. With a little bit of planning (again, amazing! ), I made this Easter basket for a total of $10 with all of the materials picked-up in the $1 area at Target. Those pre-made baskets are filled with nasty candy and cheap toys - and are expensive!! 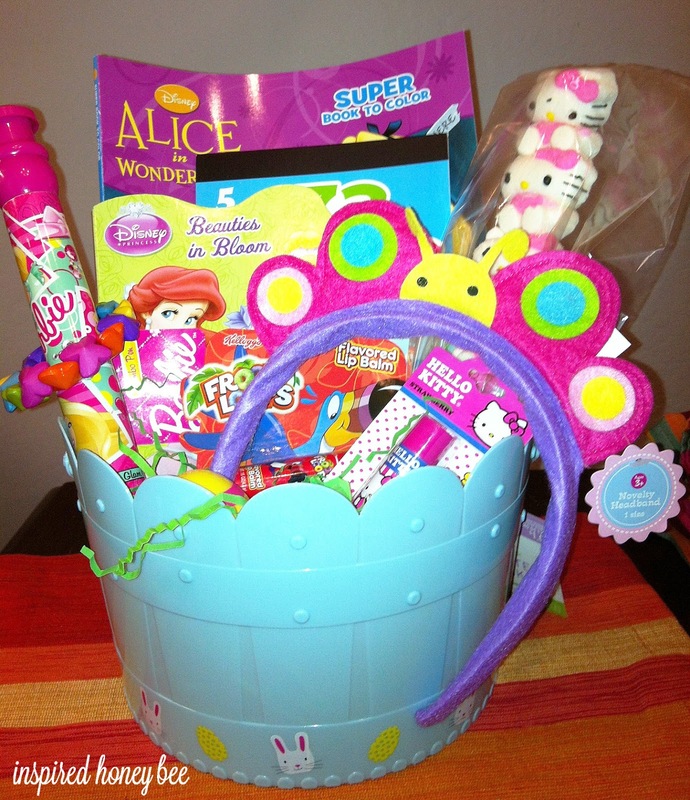 This pin from Super Healthy Kids inspired me to make a basket that did not include just candy. While this pin from Your Homebased Mom showed me how to create candy kabobs. It's just not Easter without Peeps. Oh the basket isn't for me. My niece gets to enjoy this little piece of Easter! thank you to Sweetly Scrapped for the free Spring printable. click here for more.